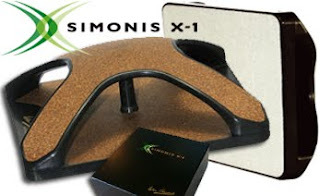 The new Simonis X1 cleaning tool is going from strength to strength and is proving to be extremley popular with both players and pool table operators. Simonis has continuously had the objective and the priority of improving the quality of its billiard-table cloths in order to offer an optimum material from the point of view of quality, precision, durability and consistency in all of the disciplines related to billiards. In order to best preserve its qualities, a billiard cloth deserves efficient cleaning. It is for this purpose that Simonis have devised and developed a totally innovative accessory: the Simonis X-1. For regular maintenance of the playing surface i.e. the removal of chalk dust, you will no longer need a traditional brush that only moves this dust around on the pool cloth, nor daily use of a vacuum cleaner that may damage the cloth and the use of which is therefore impractical, nor a maintenance product that is likely to stretch or discolour the cloth or alter its properties. 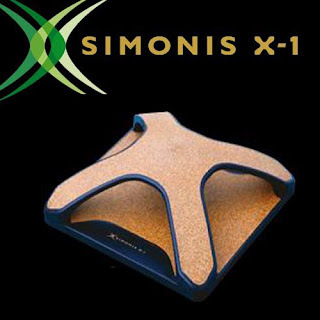 The Simonis X-1 deeply extracts the chalk dust from the baize and retains it in its revolutionary high-tech structure!